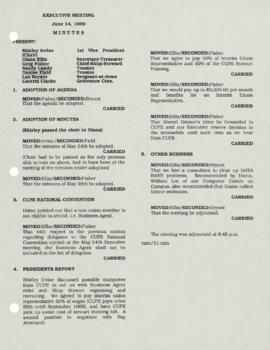 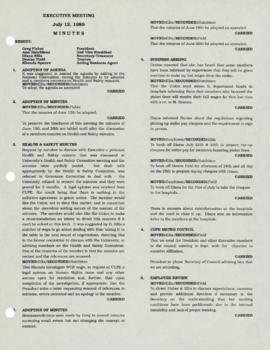 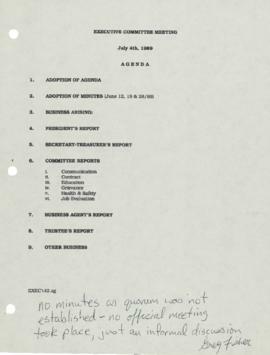 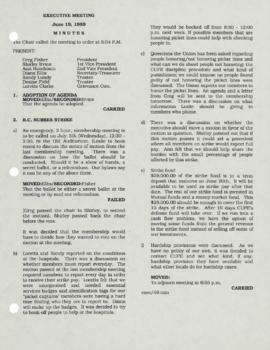 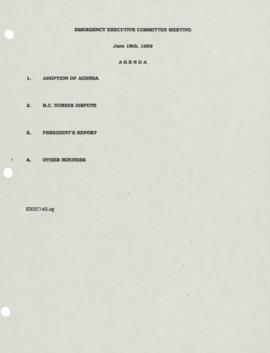 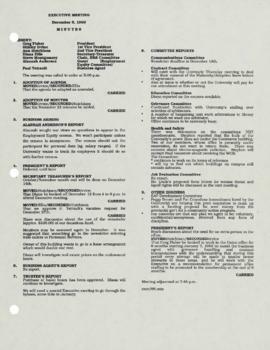 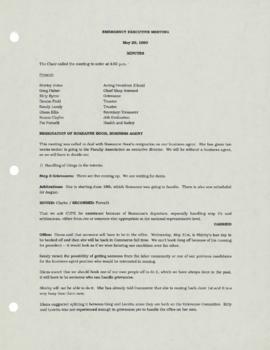 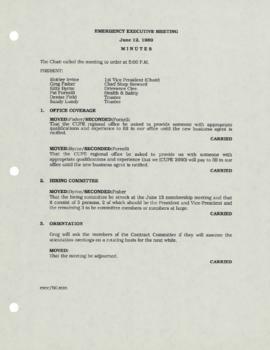 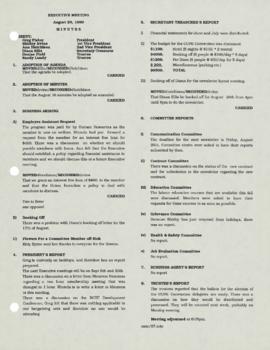 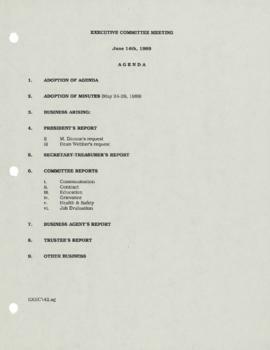 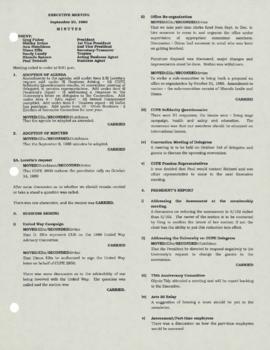 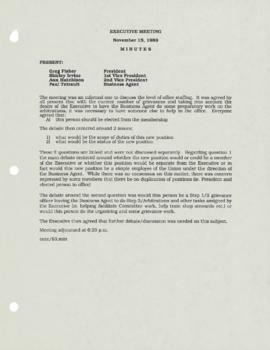 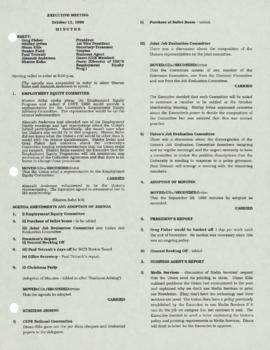 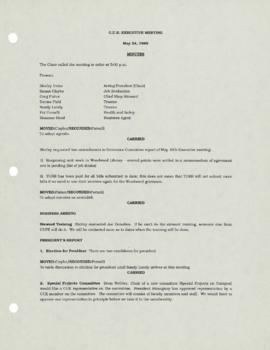 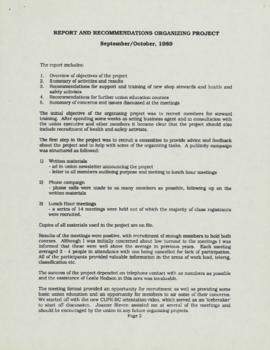 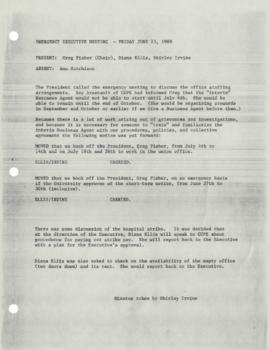 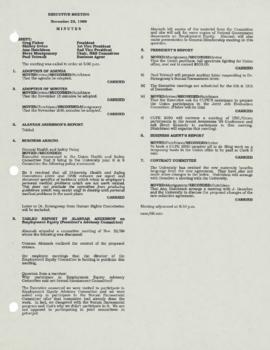 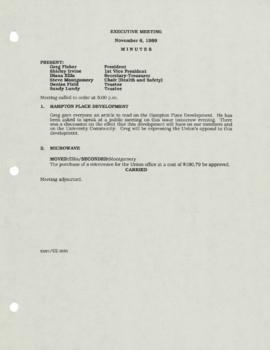 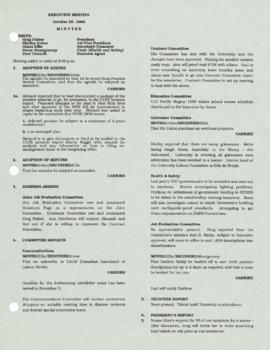 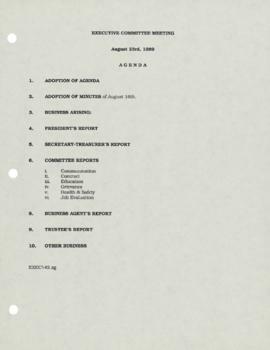 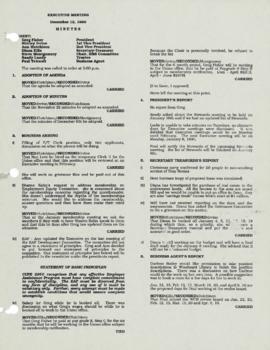 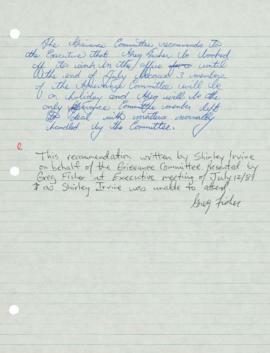 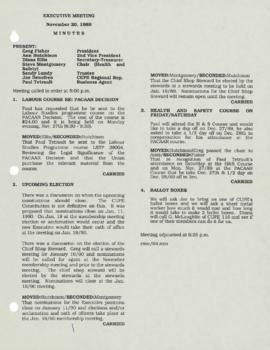 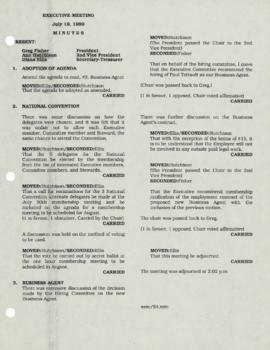 File contains meeting minutes and other records dated December 12, 1989 to May 24, 1989. 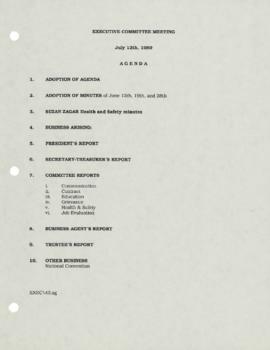 Topics discussed include hiring, wages, communications, contracts, education, grievances, health and safety, elections, recruitment, job evaluation, financial reports and budgets, interactions with CUPE, a hospital strike, and B.C. 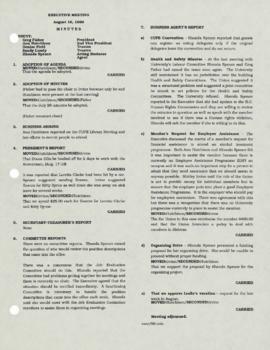 Nurses dispute. 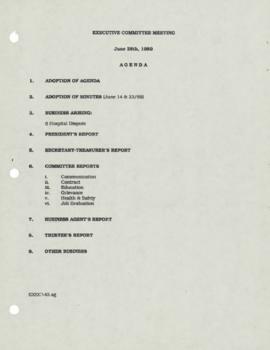 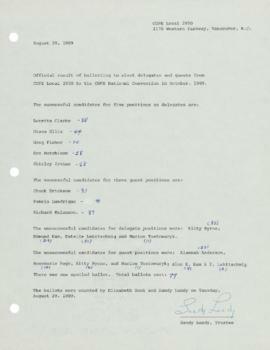 File also contains an organizing project report dated September/October, 1989, ballot results, agendas, and notes.